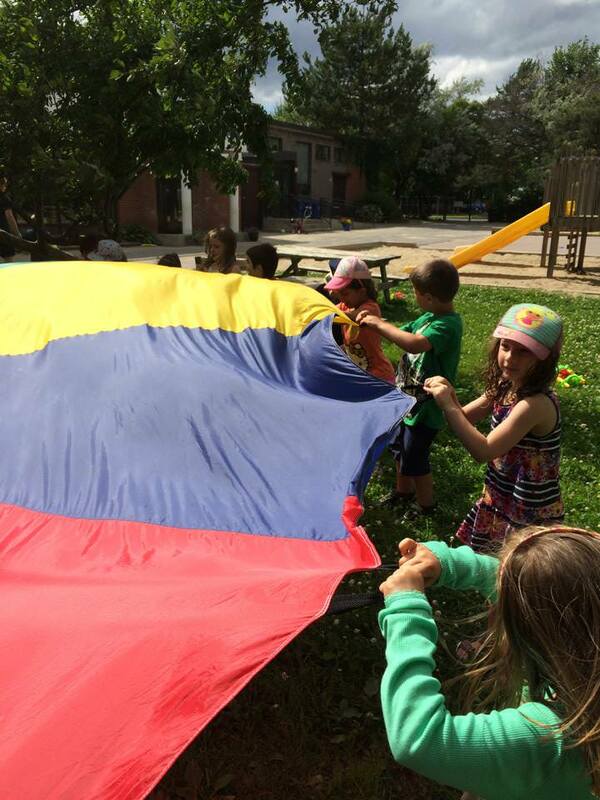 Montessori Pointe Claire was founded in 1965 in Pointe Claire as a preschool and kindergarten. The summer program has been in existence since that time to provide families with a fun environment for their young children during the summer months. The philosophy at Montessori for our summer camp program is that young children enjoy organized activities but also thrive from being with their friends and participating in free play. It is a time where children are creating friendships and bonds with each other. The summer program at Montessori has been carefully created by our educators to meet the needs of young children. Safety is ensured by the high quality of our childcare facilities. Our summer camp monitors are regular staff who are employed at our centre year round and are trained to work with young children as well as being certified in first aid and CPR. Child to adult ratios at camp are 1:6 for children 2 years and under, 1:8 for children 2 ½ to 4, and 1:10 for children 4 to 5 and 6 to 8 years old. Montessori summer camp has a unique program for 6 to 8 year-olds. This age group has their own camp monitors to organize activities and games for them. This program is designed to provide the safety and security still needed by children at this age, and at the same time allow the children to participate in “big kid” activities. Included in this program are excursions to various exciting locations. Registration for summer camp is by the day, in order to allow parents the flexibility to choose the schedule best suited to their child. The hours of operation of the camp are from 7am to 6pm (Please note there is a late fee of $1 per minute after 6pm). Summer camp fees include an excellent homemade hot meal at lunch and milk at snack time (morning and afternoon). Parents provide the child’s two snacks (nut free). Montessori Pointe Claire is nut free and we are able to cater to children with other food allergies. Prior to starting his/her first full day of camp each child are invited to come for two personalized orientation visits. At Montessori Pointe Claire we also have a regular academic year program for pre-school age children from September to June. Please ask us for more information on this program. Parents are also invited to call and make an appointment to visit Montessori Pointe Claire and find out more about summer camp or our academic year program. Give in your full series of postdated cheques for the academic year (and summer camp if applicable). Note, for children starting at any time other than September or summer camp months, fees and availability must be confirmed with the school office. Book your orientation visits for yourself and your child. These typically take place the week before the child starts his/her first day.